A balanced editorial approach, a highly respected editor, and comprehensive glosses, footnotes, and historical and cultural essays make this the most reader-friendly introduction to Shakespeare available today. 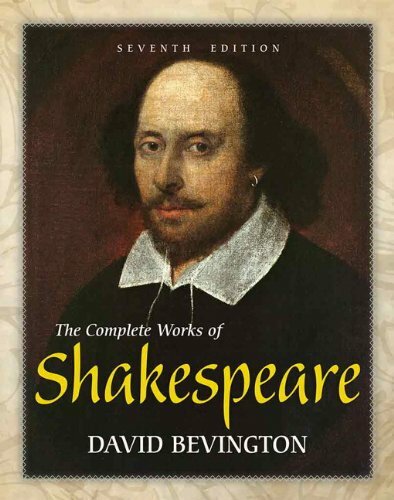 Theseventh edition of this comprehensive anthology addresses the two key issues confronted by readers approaching Shakespeare today: a lack of knowledge about the historical period and difficulty with the language of Shakespeare’s plays. A richly illustrated general introduction offers insight into Shakespeare’s England and background on the literary and cultural contexts in which Shakespeare wrote and produced plays. Each play is introduced by a descriptive essay designed to help the reader appreciate the cultural contexts and interpretive issues raised by the play — without dictating their interpretations. Thoroughly revised and updated notes and glosses provide additional support to understanding the language of Shakespeare’s time.